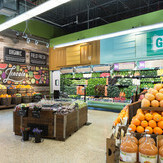 Whole Foods Market began using the Green Globes for New Construction program in 2009 to assess and certify the sustainability of new stores. 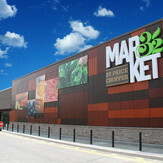 To date, almost 50 stores have been certified or are now in the Green Globes process. In 2013 Whole Foods expanded their sustainability efforts by taking their first existing building through Green Globes, a store in the Hollywood district of Portland, Oregon. The additional benefit for a facility in use was to help improve operational efficiency.